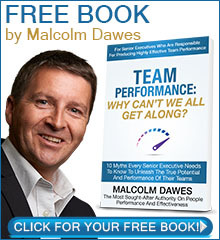 Malcolm Dawes is the most sought-after authority on people performance and effectiveness for senior executives who are responsible for producing high-performing teams. He began his career in the public sector working as a nurse, moved to the corporate environment as an employee, and finally started his own private business. For over 30 years, Malcolm has experienced first-hand the struggles that executives face with accelerating the performance of their teams. 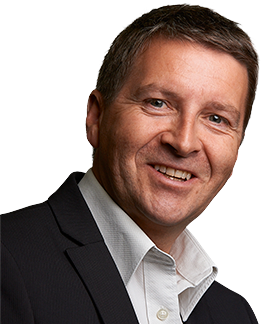 He has been engaged as a performance expert by large multinational companies around the world such as Lloyds Bank, Pfizer Pharmaceuticals and Sony Consumer Electronics, as well as many small and medium businesses. In Team Performance: Why Can’t We All Get Along? Malcolm dispels 10 myths that many senior executives have about unlocking the true potential of their teams. He highlights core issues of human nature and shows how understanding behaviours as a leader and coworker is the key to team effectiveness. This book contains real-world experiences of all levels of people in a wide range of industries, everything from banking and finance to entertainment and telecommunications. Malcolm is passionate about helping businesses find the elusive answers to their people issues. Let him guide your company to its most successful team performance and effectiveness.